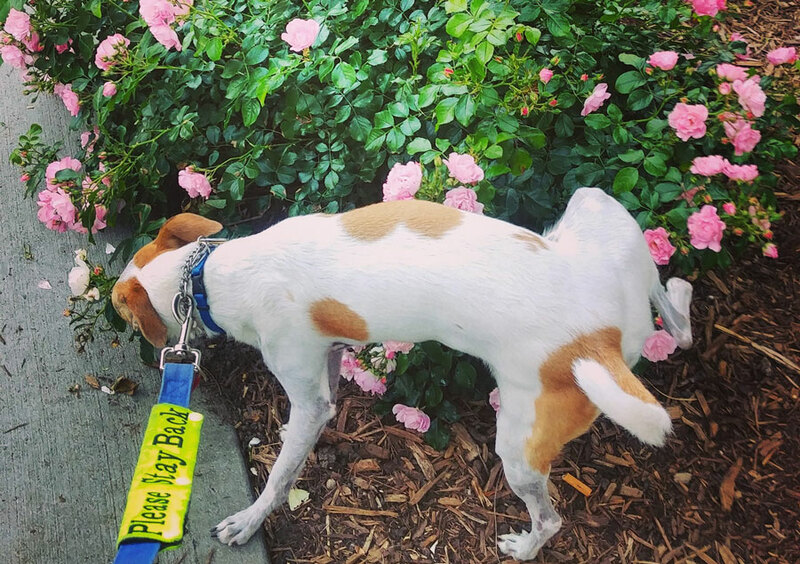 Ask the Vet: My Foster Dog Won't Pee! Foster Question: My new foster dog won’t pee outside. She holds in her urine throughout entire walks, and will either pee when we get back in the apartment, or will hold it in for a couple days. She is a rescue from the south, and is timid about NYC life. What can I do to encourage her to relieve herself, and how do I know that she isn’t in pain regarding urination? Dr. Rob says: "It is all about positive reinforcement. We have to understand that our rescues come with some anxieties and some behavioral issues based on their past. Who knows what they went through. What we do know is they have been in cages, transported all over the place and packed in with many, many other stressed dogs and cats which in itself is very traumatic. It takes time for them to become themselves again even if it is just bathroom practices." "The important things are to remember to always praise them and give treats when they urinate and defecate outside," says Dr. Rob. You should really cheer them on (it looks like you’re crazy in the city, but it works) when they go outside. If they go inside do not use any physical punishment. Say 'no' sternly, and then take them right outside so they know that is where they go and then give praise so they start to associate going outside as good even though there is a loud truck there and lots of car horns beeping." "House training your new foster dog is always something you want to address right away," says Maddie's Fund and Rebound Hounds. "Whether you're starting from scratch, or getting a house trained dog back on track after their stay in the shelter, this challenge is all about structure, consistency, patience and commitment." Victoria Stilwell says, "Be patient and sensitive as your dog learns. Never rub his nose in an accident." Stilwell suggests, "Start with a good toileting schedule that goes back to basics, allowing access to outside areas every hour." Patience, kindness, and routine! Share your new foster experiences on social media and tag @fosterdogs so we can follow along on your journey! Images in this article were submitted by previous and current foster parents through our Foster Forum on Facebook. All of these dogs have been adopted. Newer PostFoster Dogs Love the Beach, Too!